Description/Historical Information: Matlock Church Lads' Brigade, Company 3126. Founded 1914 by Rev. J. B. Hyde. 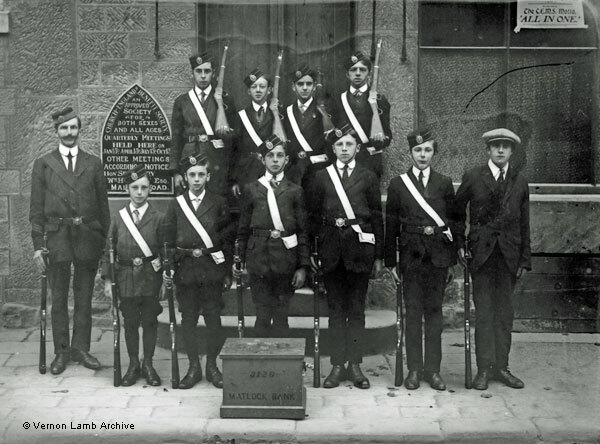 Boys, with Staff Sergeant Frank Archibald Durrant, standing to attention outside Church of England Benefit Society, probably their HQ [also see VLA4985, VLA4991 and VLA4992].